5.5oz., 100% cotton jersey-knit romper, Ribbed crew neck. 3 snap bottom. 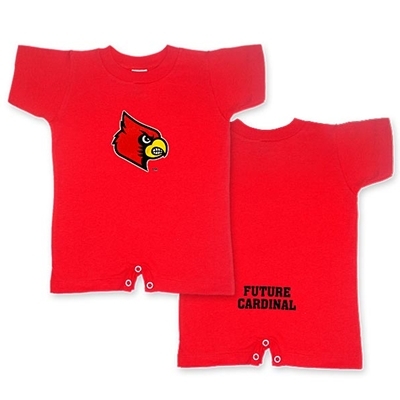 Fighting Cardinal Logo on chest, "Future Cardinal" on "bum".